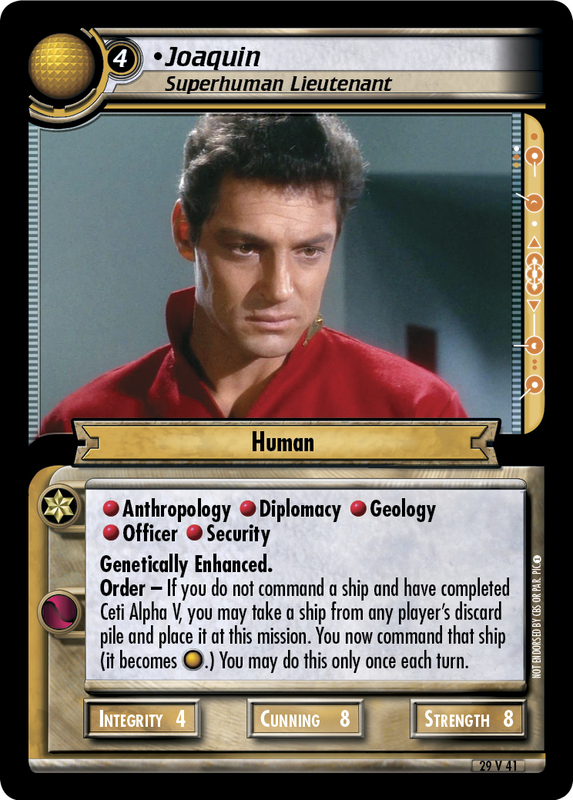 Order - If you do not command a ship and have completed Ceti Alpha V, you may take a ship from any player's discard pile and place it at this mission. 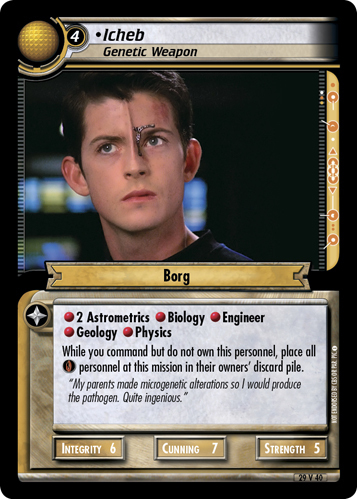 You now command that ship (it becomes .) You may do this only once each turn.